Thread: 2012 Macbook Pro/Air + S2/4 working yet? Hey peeps, as above, can anyone confirm if the 2012 Macbook Pro/Air models are working with kontrol S2/4's yet? Last I checked there have been driver/sound issues. I have a 2012 13" MBP and my S4 works perfect on a cheap powered usb 2.0 hub plugged into a USB 3.0 port. I've never directly plugged it into one of the USB 3.0 ports though. The USB 3.0 issues have now been fixed for Mac OSX, you shouldn't have any problem using an S2/4 on the new 2012 Macbooks. sweeet thanks for the info guys. Anyone else had experiance with this? Scott Michael - how do you find your set up? I was looking at either a 2.9ghz 13in, 2.0ghz Air 13in or 2.3ghz 15in. Either one with a 256SSD. It really depends on your needs. I travel for a living so the cMBP 15" is out of the question, to bulky and heavy for continual travel. The retina may be a different story but the lack of upgrade (SSD/Memory) is a huge deterrent. With only a 256 gb SSD in the base 15" rMBP, there is a constant need to cary around a external drive and I'd hate to do that. Maybe it would work for you, for me, I want all my files contained on the computer I'm traveling with plus storage space to grow. The Air is a solid computer just not enough IMO to do any real production work (live/logic), Traktor will run fine though. The air is upgradable but the parts are not cheap from OWC and they are the only real option. The 13" cMBP seemed to be the best of all worlds for me. Upgraded the HDD to a SSD for boot and transfered the stock HDD to the CD drive location for storage. The core i7 chips in 13" cMBP are only dual core, FYI. Stating that, I still think there is plenty of power in a cMBP 13" to run large projects in Live/Logic. The most ideal situation for me would be a 15" rMBP that the user could update themselves (memory/SSD). SSD's can be changed in the rMBP's but its pricey, $630 for a 480 gb SSD and a external drive cage for your factory 256 gb SSD. If money is no object then the choice is clear otherwise there will be some sacrifice...... Ask yourself this, do I want to sacrifice Retina Screen for SSD/HDD storage space or vice versa. You cant have both without spending a serious amount of cash. Last edited by Scott Michael; 01-19-2013 at 10:21 AM. I would recommend the Air over the non-retina 13" MBP for Traktor, 1280x800 is just ridiculous for a laptop at this price point. Any Macbook is more than powerful enough for Traktor and the Air offers better value if you're set on getting a 256GB SSD BTO. I agree the resolution could be better on the 13" cMBP. There is always an external monitor option at 1080p for home use. 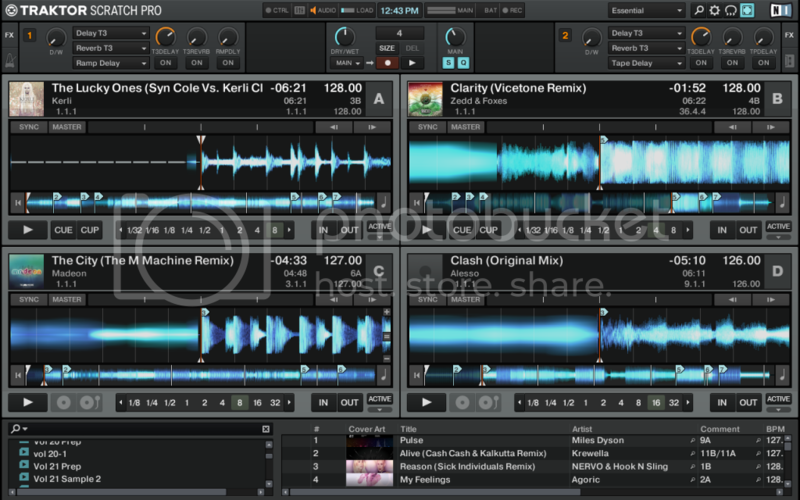 And to be honest I thought that the lower resolution in Traktor would really frustrate me but it's not bad at all. 1 area for decks (4) and top fx strip bar and then space bar for full browser screen and folder tree list. A little off topic but still related. It really depends if he intends for the Mac to become his everyday computer for years to come or a "music/Traktor" computer. Cheers for the info team! Yeah this will be my dedicated music laptop for traktor and maschine, lets face it ill use it for browsing too haha. 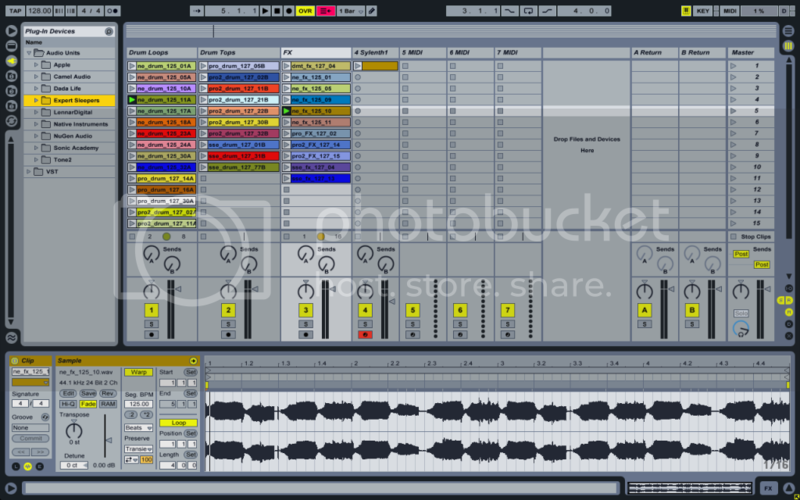 I was planning to leave my production stuff on my 2.8 c2d (ableton and logic) if I end up going with something 13in. Main reason I was looking at a 13in is because they are cheaper than the 15in (obviously) however I really like the real estate of the larger screen and I am pretty keen on getting the hi-res anti-glare screen. I can honestly say I have not been considering the retina's.. should I be based on that above? Does anyone have a 13in rMBP and can do a screen shot on max resolution in Traktor with 4 decks? Ill repay with internets! Thats my 4 deck layout on 13" non-retina w/ 4 decks. I'd be curious to see what the rMBP has to offer. I think its going to get to a point were the resolution is so tiny it might be too much content for the 13" screen. Who knows, I may end up being very jealous once I see it. Last edited by Scott Michael; 01-20-2013 at 01:31 PM.